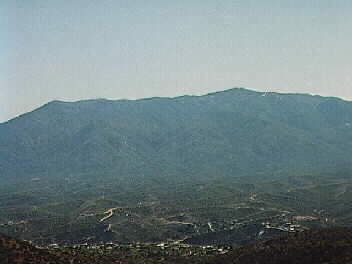 This is a view of the Pinal Mountains with some of the town of Globe in the foreground. The photo was taken from the Globe Hills (sometimes called Copper Hills, after a settlement that was located there about 1910 to 1950), just north of the town. The Globe Hills also include Ramboz Peak, original site of mining prospects in the region.